We were on the fence to give it a try for a while as it is a very popular choice over on Instagram. 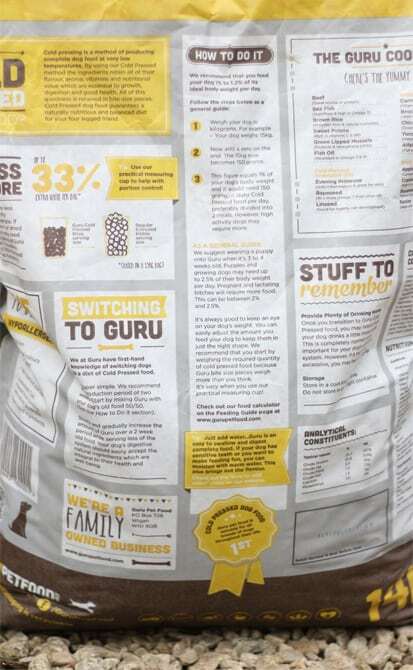 Therefore, I wondered what all of the rave was about, so I did some research and we finally decided to order our first bag of Guru! Maximus loves mealtime, the pellets are so tasty (understood from his regular drooling and lick of the lips at the sight and anticipation of it!) we also use them as treats if we are running low on others. It’s delicious taste is proven by our West Highland Terrier, Oscar. He can be quite fussy when it comes to food yet he would do anything for a pellet of Guru. Therefore, when it comes to mealtime, it’s one big healthy treat! In relation to Oscar, as he’s an older dog now at 11 years old, his teeth aren’t as good as they used to be. Therefore, he has difficulty biting down on food that is too hard. However, this wasn’t a problem as Guru pellets can be turned into a paste using hot water, allowing those seniors to enjoy some tasty Guru too! 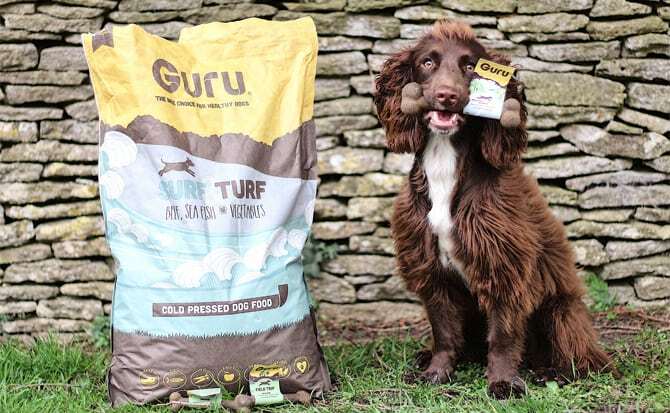 Guru is hypoallergenic, keeping your dog safe and happy whilst indulging in a Guru feast! 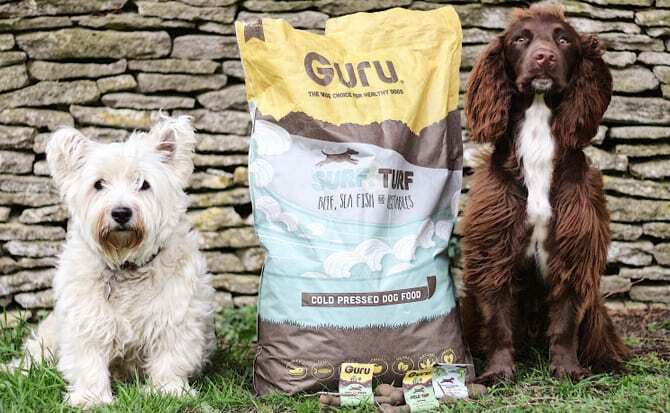 In addition to this, unlike most dry food, Guru is cold pressed which means the nutritents are not lost through the heating process. Therefore, it is packed with benefits. 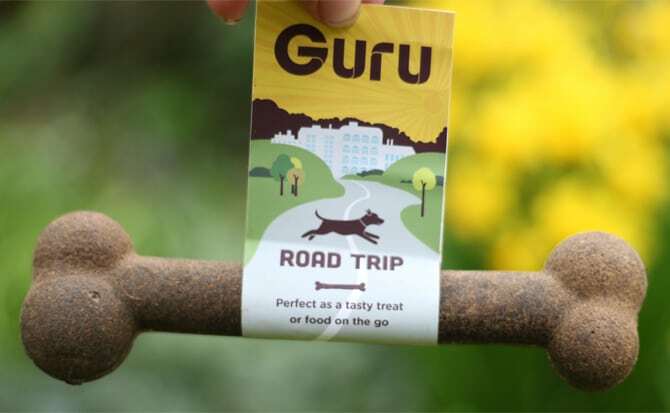 Guru is great for your dogs digestion. This is because the pellets break down quicker and increase in volume, settling nicely at the bottom of their gut keeping them full and satisfied for longer. Due to it being more nutritionally rich, the amount in which you feed your dog per serving is less, making it financially beneficial too as it lasts longer. What more could you ask for? An added bonus to Guru is their Trip Bones, which are essentially a meal in a bone. Therefore, it is a convenient way to feed your dog whilst out on a trip as an easy meal. Of course, you can also use it as a delicious treat too! Maximus and Oscar love ‘GuruTime’. Why not give it a try? I bet your dog will love it too. Check out their Blog to follow Maximus and Oscar’s adventures!